Regulator of mitochondrial apoptosis and G1 cell cycle in breast cancer. Protects the breast cancer cells against mitochondrial apoptosis and this effect is mediated through the modulation of BCL2 protein family, which involves the positive regulation of anti-apoptotic member BCL2 and the negative regulation of pro-apoptotic members BAD, BAK1 and PUMA. Required for the normal cell cycle progression during G1 in breast cancer cells through the regulation of CCND1 and CDKN1A. Regulates the level of PP2A regulatory subunit B and PP2A phosphatase activity. 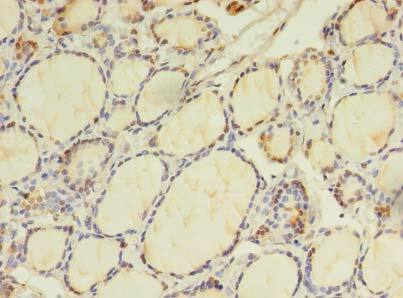 BEX2 Polyclonal Antibody. Unconjugated. Raised in: Rabbit.